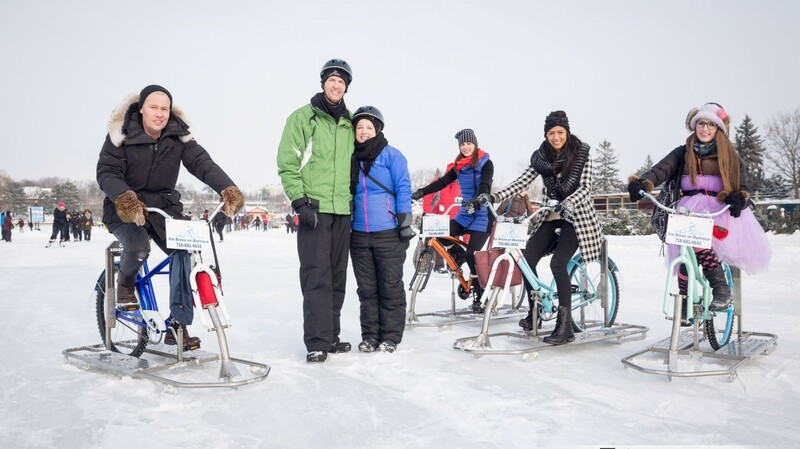 Saturday a few of us ventured out to the canal to try out the Ice Bikes of Buffalo. They were invited to participate at Winterlude to show off their invention. 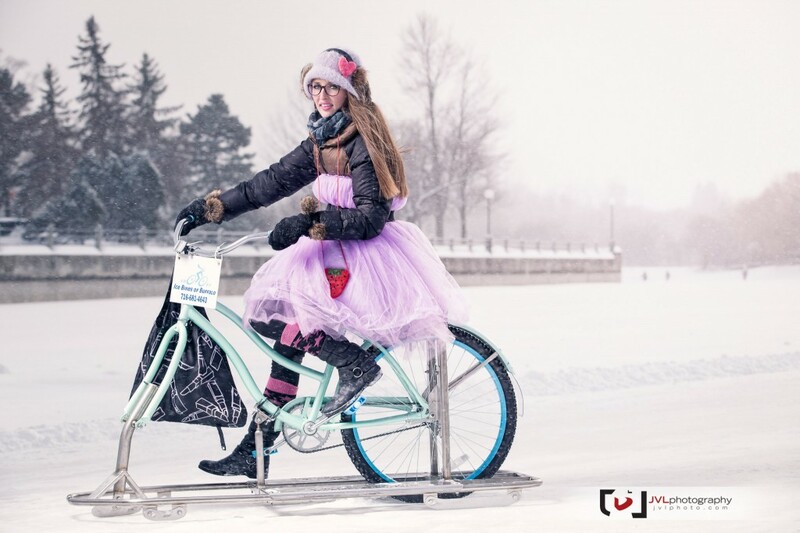 The idea of ice bikes originated in Beijing, China but Lisa Florczak could not get the bikes from there into the States. She and her husband decided to make them themselves and teamed up with General Welding and Fabrication in Buffalo, NY who helped design, tweak and test it ensuring it was safe on the ice. Shawn from Creativision contacted myself and the lovely photographer extraordinaire – Justin Van Leeuwen to collaborate on a fun photo and video project on Valentines Day. The weather was slightly uncooperative at -30 with light snow but my team of fashionable Ottawans were all smiles. 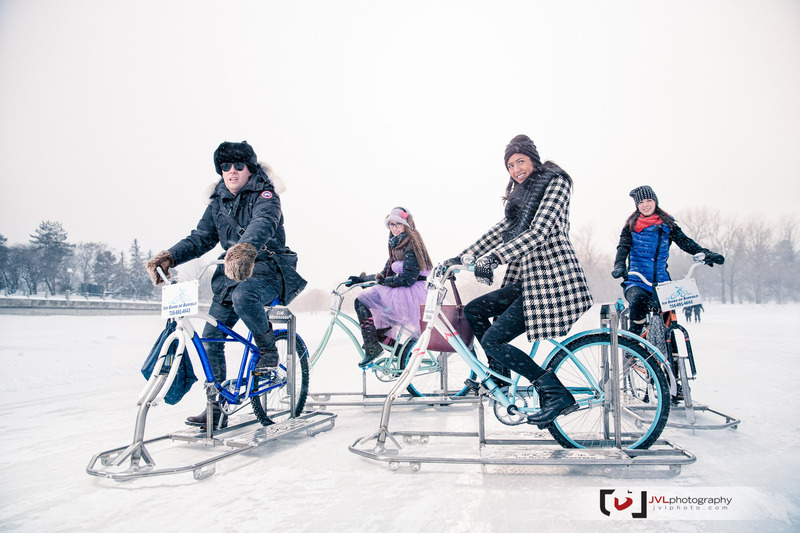 Emmanuelle, Sonia, Sophie and Marley, the wonderful models, really enjoyed riding the ice bikes and were stopped quite often to get their photo taken by passersby. Justin along with his assistant Chrisarrrr captured the models perfectly with their bikes in the photos below! 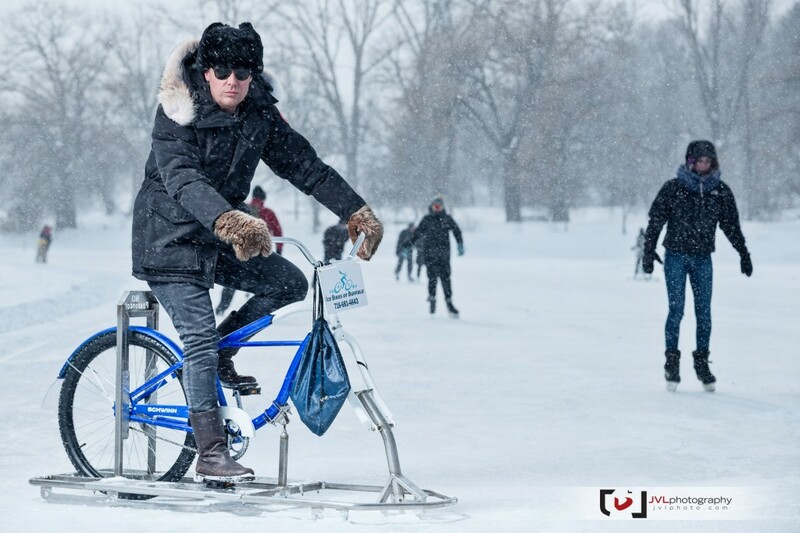 I really hope that the NCC can strike a deal with the Ice Bikes of Buffalo. These bikes would be great to rent out to people like me who are really terrible and slow at skating. Normally in -30 weather i usually complain, but I must say I had absolutely no complaints being on the ice bike. 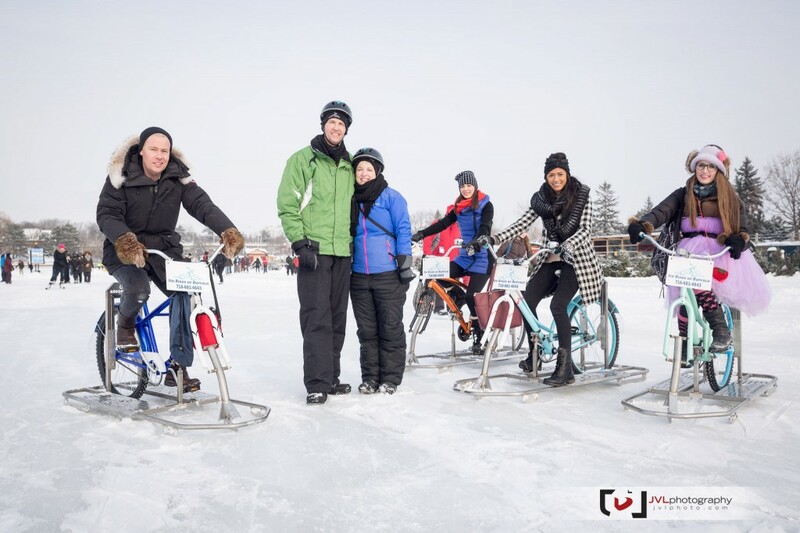 Check out the Ice Bikes of Buffalo on Family Day out on the canal near Dow’s Lake!